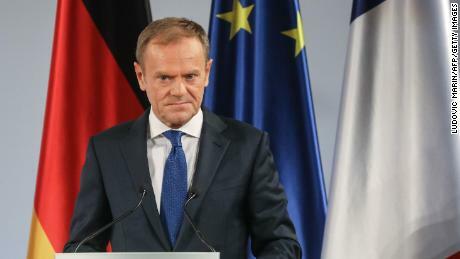 It was this looming milestone that surely contributed to the howl of despair from European Council president Donald Tusk on Wednesday, when he said there is a “special place in hell” for those who promoted Brexit without a plan to execute it. The graphic nature of his words caused widespread controversy back in Westminster. But for many lawmakers and officials frantically searching for a way out of the UK’s Brexit stalemate, Tusk’s words rang true. It is quite staggering that Britain’s future is being held hostage to the protracted squabbling of politicians with competing ideologies. And still the clock ticks down to March 29, Brexit deadline day. 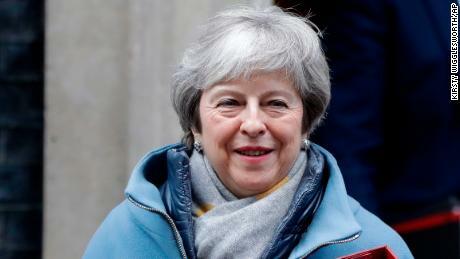 Theresa May, who remains Prime Minister despite presiding over one of the greatest political fiascos in living memory, traveled to Brussels on Thursday in an attempt to persuade EU leaders to agree to key changes in the Brexit deal that would, in theory, make it acceptable to lawmakers back in Westminster. The Prime Minister arrived in Belgium after meeting political leaders in Belfast on Wednesday, where she was warned by the Democratic Unionist Party, whose votes May needs to give her an overall working majority in the Commons, that they would not back her deal without changes to the backstop. After the talks in Brussels, May will go to Dublin to meet her Irish counterpart, Taoiseach Leo Varadkar, whose government is insistent that the backstop — effectively, an insurance policy to prevent a hard border between Northern Ireland and the Republic of Ireland — must stay. These two positions are unlikely to be ever reconciled. By Friday evening, when May has dinner with Varadkar in Dublin, there will be 49 days to go until the Brexit deadline. And when the Prime Minister addresses the House of Commons next week with what her closest advisers hope will be a workable plan, there will be 44 days left. Given lawmakers from all parties remain split over what Brexit should look like, the deadlock is unlikely to be broken then. Which begs the question being asked by politicians and business leaders desperate for some certainty: Just how close to the deadline is it going to get before a deal is struck? And then this follow-up question: When do UK firms and families start seriously stockpiling food and medicines to prepare for the inevitable panic that will hit in that final week of March, if the country is heading for a no deal? If Britain really is heading towards a no deal, only extending the deadline, by asking Brussels for permission to amend the Article 50 process which fixes the timetable, can delay this potentially damaging moment for the UK. The narrowing timescale has done one thing, which is to sharpen the policy of the opposition Labour party. On Wednesday evening, Labour leader Jeremy Corbyn wrote a letter to the Prime Minister setting out five demands which, if met, would see his MPs back her in a Commons vote later this month. These demands include greater rights and protections for workers, ongoing membership of EU agencies and security programs like the European Arrest Warrant, close alignment with the single market and the UK staying in a permanent customs union with the EU. The Labour plan is significant — not only because it is the clearest policy on Brexit that Corbyn’s party has had since the referendum result in 2016, but because it sets out a soft version of Brexit that could win a broad, cross-party consensus in the Commons. Membership of a customs union and single market alignment will be vehemently opposed by Brexiteer MPs in May’s Conservative Party, but there could be enough lawmakers from all sides, including more moderate Conservatives, willing to back it. The problem is, this is yet another version of Brexit that will need to be debated and voted upon in the Commons in a process that will eat up more time before March 29. With 50 days left to go, Britain remains on a knife-edge over Brexit.